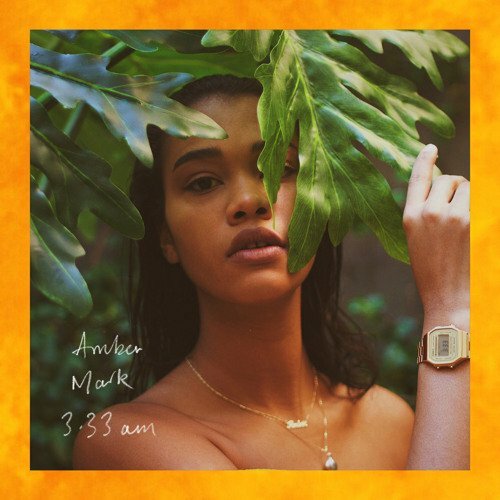 New York singer/producer Amber Mark continues to deliver well-traveled pop music, but unlike her poignant debut EP, this latest release is easygoing. It’s the kind of music for sticky club nights: confident, loud, and careless. Summer is fleeting with only a few weeks to go, and its end usually cues a rush of liveliness in those who cherish this time of year most. And while lovers of late sunsets, long nights and the rare luxury of unadulterated irresponsibility hurry to cram the last of their pre-autumnal experiences into the start of September, they’re also probably trying to decide what music to honor as their own personal summer favorites – the songs that go down in an intimate history, perfectly summarizing the best (or maybe worst) moments of a season. 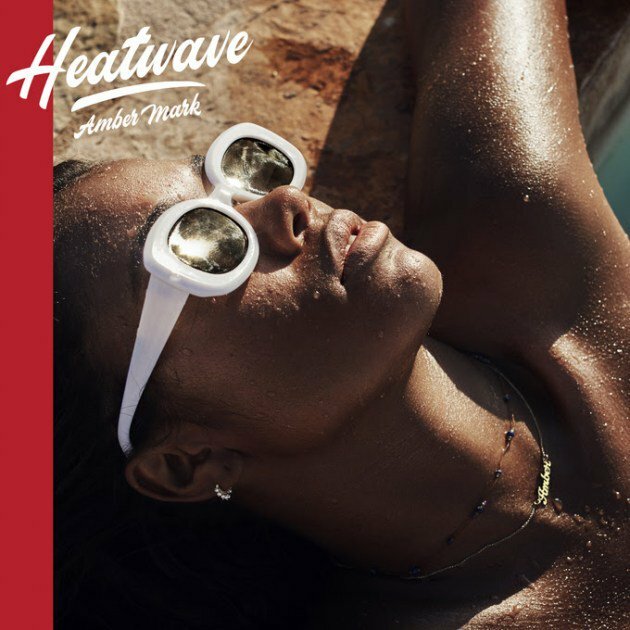 But don’t finalize any summer ’17 playlists just yet, because New York singer and producer Amber Mark’s “Heatwave” (8/18 via PMR Records) is a contender that both one’s hips and ears should consider waxing nostalgic about in the coming years. Quintessentially earwormy and set to backtrack a sweaty club scene, the confidence of “Heatwave” is nearly expected of Mark, a 23-year-old do-it-all gal whose smooth beginnings still seem too faultless to belong to any kind of bedroom-based pop newcomer. It was just three months ago that she handed over 3:33am, a debut EP that ambitiously floats in erratic pools of emotions, sounds and paces. At its core, the project is Mark’s sonic grief, a powerful reaction to her mother’s passing; but there’s nothing pity party-esque about each of 3:33am’s seven tracks. Anguished lyrical moments – those in which Mark’s contralto candidly illustrates fragments of her relationship with her mom, along with the end of that relationship in an earthly sense – aren’t depressive and hollow, but rather uplifting to any human with a capacity for optimism and sympathy. Paired eloquently with Mark’s stories is her lush production, a global testament to her history as a traveling soul who, together with her mother, has called the world’s most fascinating pockets – from India and Thailand, to Berlin and Tennessee’s countryside – home sweet home. And all that wandering reflects positively in the debut from start to finish. Without a sliver of disconnect, her influences weave between genres that most artists wouldn’t dare to parallel on the same record – immersive, mellow world and wistfully agile house, to name a couple. But with Mark, fancy titles are helplessly superfluous: her music is cultured pop, the rare and irresistible kind that music cynics hate themselves for enjoying. “Heatwave” is a guilty pleasure of a similar kind, but its lightheartedness is new for Mark. It is true, that even the singer’s most tear-jerking cuts from 3:33am doubled as musical reassurances, but that positivity was still weighed down with a poignant bulkiness that wasn’t invited to – and frankly wouldn’t belong at – the carnival that Mark’s latest imagines. This was not a subconscious action, according to the artist herself, who told NME that the dance track was unlike anything she’d previously created. “It just completely has that feel of summer for me,” she elaborated. “I wrote it just as it was getting hot here in New York City and we’d just came out of the longest winter – play it loud.” Her recommendation to listen to “Heatwave” and its glorious Afro-Brazilian beat at max volume is more of a requirement than endorsement; after all, there is no better method to listen to music than that of which its inventor insists. But even without Mark’s words, the song is obviously crafted for the ultimate nights of what’s (incorrectly) marketed as an endless summer – as with the rest of her discography, the music is not merely American pop, but an educated sound indebted to a colorful exoticism that most of Mark’s domestic listeners should appreciate. “I want to go get away/ Feel the heat/ I want to dance the night away/ I want to feel the heatwave,” she sings over panging synths and rhythmic drums that are deliciously difficult to keep up with sans breaking a sweat – at least not before the end of the track’s four-in-a-half minute running time, a longer length that’s mentionable when considering how traditional of a dance cut “Heatwave” truly is. But in this case, traditional is not synonymous with conformist; sparingly do today’s pop singers promotionally drop legitimate dance music – music made for, believe it or not, dancing – in the same way that Y2K artists like Janet Jackson or a 17-year-old Rihanna did back in the day (re: 2001’s “All For You” and “Pon de Replay” from Rih’s ’05 freshman LP). Sure, club-friendly dance-pop takes up a microscopic corner in today’s arena of popular music, and the headcount of those who crave a combination of sweet ‘n’ soulful vocals, turnt-up lyricism and extended breaks is low. But on “Heatwave,” such indulgence in arguably dated, abandoned formulations of dance is an intelligent throwback – the track adds a few more degrees of separation between Mark’s work and that of her rising peers, and as it settles, this divide continues to favor the former.